Ok, who's up to support trump with violence? And who deserves to be attacked on the lib side? At what point does this become mass hysteria? Oh, I think we're past that point with the left, don't you? Ppl screaming to the sky, or literally crying because the candidate they supported lost is a pretty clear sign of hysteria to me. Not as lame as the Daughters of Che. Being triggered by a hat? A hat that only promotes wanting one's country to be great? Doesn't sound like reasonable ppl to me. If you don't like the slogan, don't wear the hat. Sounds very simple to me. Attacking those that do like the slogan is infantile. The slogan itaelf can mean different things to different individuals anyway. It's not a valid reason for violence, or even hatred for that matter. I think he nailed it. The left keeps pushing the envelope and everyone has their threshold. I don't think the left realizes how sick of their BS antics the right has become. For the most part the right has been very patient and tolerable but like I said, there's a threshold. I can't think of one of my biker bro's that's a Democrat anymore. They all think the left is a bunch of whining crybabies and they are correct. The general consensus is that the left isn't even worth their time and they've better things to do. Basically, no contest, why bother, be nice until its time not to be. 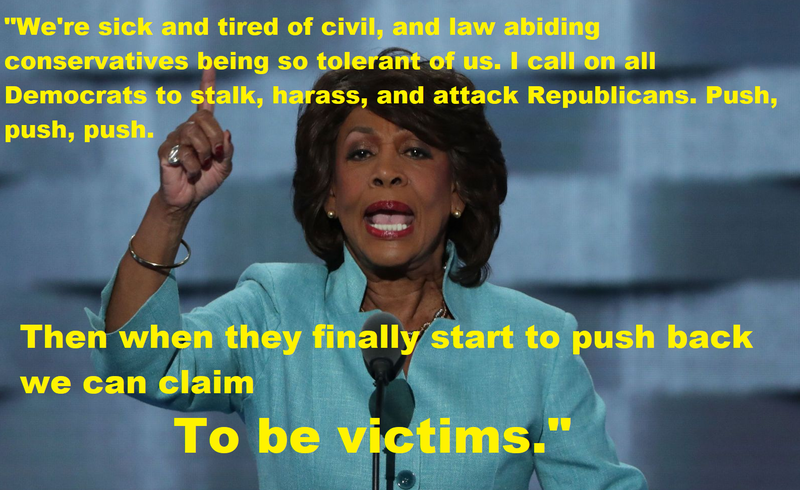 I guess you could ask her, but mad Maxine is unlikely to articulate an intelligible response. The left is in full hysteria mode 24/7. Since the election it has been one hysteria to the next, with very little time in between. Hell, the Russian Collusion nonsense has been ongoing for over 2 years now. It seems hysteria may be the standard state of being for today's leftists.